Aging in first fill American Oak casks brings a creamy sweetness to the whisky, and hints of zesty citrus play well with notes of sweet caramel apple. The Glenlivet distillery is near Ballindalloch in Moray, Scotland that produces single malt Scotch whisky. 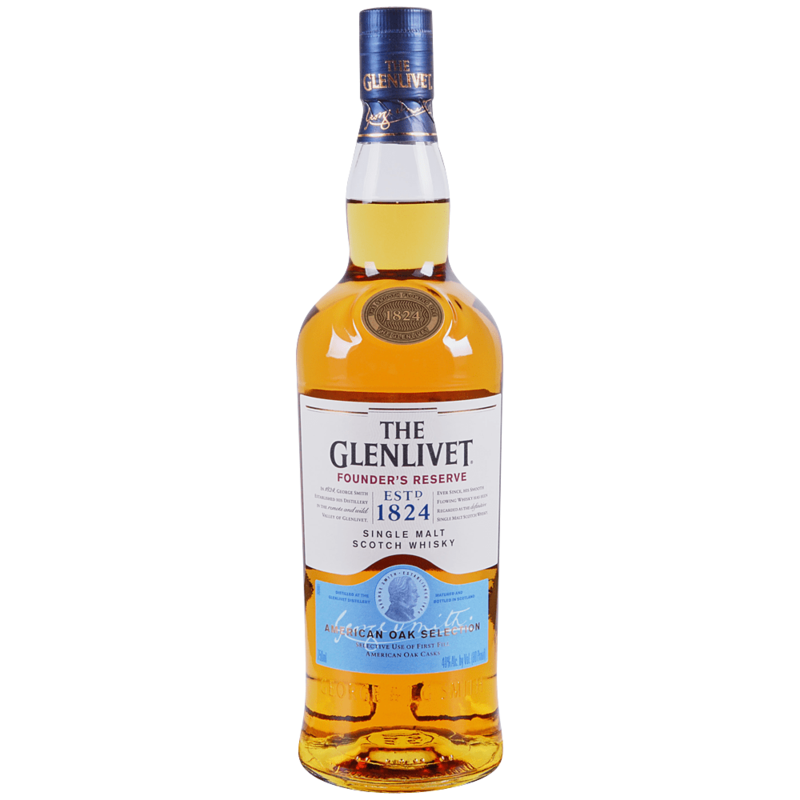 It is the oldest legal distillery in the parish of Glenlivet. Founded in 1824, the distillery remained open throughout the Great Depression and its only closure came during World War II.